New Delhi: Delhi chief minister Arvind Kejriwal on Sunday urged people not to vote for "liars" like the BJP and the Congress, saying they made "false promises" on granting full statehood for the national capital. Underlining how West Bengal votes for TMC chief Mamata Banerjee and Tamil Nadu votes AIADMK, Kejriwal said similarly the people of Delhi should also vote for the Aam Aadmi Party. "First step to support the full statehood in Delhi is by voting for us in the upcoming elections. We will fight for full statehood and get it within two years," he said at a public rally in Malviya Nagar. 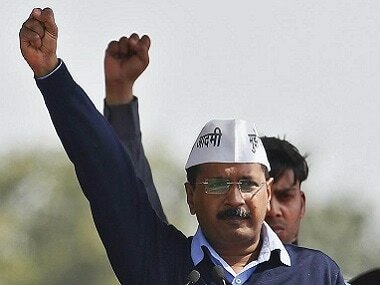 "I have planned it all on how to give employment, good education and houses to the people of Delhi. I am an educated man having a real degree not a fake one," the chief minister said amid cheers from the public. 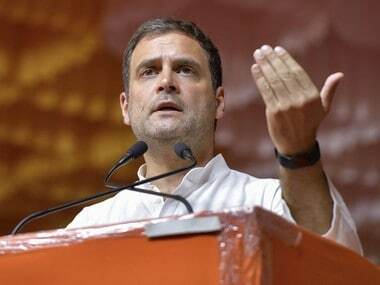 "Do not vote for liars like the BJP and the Congress who made false promises on granting full statehood to the national capital," he said. Kejriwal said people voted for Prime Minister Narendra Modi five years ago following which he said he became a "56-inch chest" man", and four years back when people voted for the AAP "we worked for them and made every person's chest in Delhi 59 inches". Accusing the Centre of creating "hurdles" for Delhi's development, the chief minister claimed that he faced "several obstructions" at various stages to get clearances from the central government. The people of Delhi pay Rs 1.5 lakh crore Income Tax and receive only Rs 325 crore from the Centre, he claimed while addressing another rally at Trilokpuri. "Why should we pay so much and get so less in return. What have Delhiites done to the central government to deserve this?” Kejriwal asked. "Just for political enmity, PM Modi stopped the development work of the common man in Delhi. Last time you voted for him, but this time don't vote for him otherwise he would not let me work for development," he added. The AAP is fighting the Lok Sabha election on the agenda of granting Delhi full statehood. 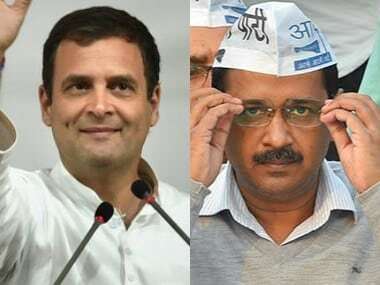 It is contesting the polls with the slogan 'Poorna Rajya Banao Jhadu ka Button Dabao', telling people Delhi will get full statehood if they vote for the party. 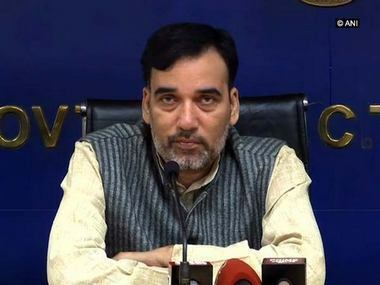 Elections to the seven Lok Sabha seats in the national capital will be held on 12 May.